A, now London-based, band whose earliest songs stemmed from the teenage bedroom (soundproofed by a mattress and a cupboard) of Mike Skinner, dedicated Brummie. Born in London, but bred in Birmingham, Mike Skinner founded The Streets in 1994 after playing the keyboard since the age of five. The sound of The Streets is a spectacular result born from Skinner’s teenage hip-hop and garage creations in a self-built sound booth in his bedroom. Following his secondary school education at Bournville School in the 1990s, Skinner dedicated himself to setting up his own independent record label whilst working in various fast-food jobs. By 1994, he had formed The Streets with a heavy focus on lyricism, keyboards and synthesizers. The first hit that was a real breakthrough for the band was in 2001 with Has It Come To This?, released under the Locked On label that hosted the success of the likes of The Artful Dodger. This was prior to their very first album Original Pirate Material, and reached number 18 on the UK charts. The Streets soon became famous for preaching their own philosophy through lyrics, and each album, when played from start to finish, tells a different story. Original Pirate Material, released in 2002, made NME’s list of the top five albums of the year. Its UK garage feel is mirrored with the brutal truth of clubbing round Britain and being skint at the same time. Quite literally as Skinner puts it: ‘This is the day in the life of a geezer’. From Don’t Mug Yourself, a simple, poppy tune about really liking a girl and making a fool of yourself; to Stay Positive, a devastatingly honest monologue, this is an album depicting ordinary life without many moments of beauty. Just two years later, the group accomplished their highest rated single to date and reached number one with Fit But You Know It, a track released from upcoming second album A Grand Don’t Come For Free. Its success led to the next single, Dry Your Eyes, also reaching number one in the charts and a wide new-found appreciation for the first album; cue the inevitable rise of The Streets. In a time when CDs were at the forefront of music, this second collection delivered a very clear beginning, middle and end for fans to sink into. 2006 brought The Streets’ third studio album, The Hardest Way To Make An Easy Living. With tracks like When You Were Famous, it was clear that four years of success had shifted the ‘ordinary’ undertones to ones of the effects of fame. Although Skinner doesn’t let his fans’ focus drift from hard hitting matters for long, with choir-like tracks such as Never Went To Church where he dwells on his Father’s death. Two years later, a fourth album emerged called Everything is Borrowed where the distinct philosophical air was back and very much present for the band. One single released, On The Edge of a Cliff, takes fans through the discovery of some wonderful advice after the contemplation of suicide; just another way that Skinner paints life’s hardest situations with an uplifting twist. The Streets’ fifth album, Computers and Blues, was their final collection before their split in 2011. With the ‘Blues’ part of the title referring to Skinner’s love for Birmingham City Football Club, he finished with his roots. After a quiet six years of Skinner making solo festival appearances and headline DJ shows, he announced the comeback of The Streets in October 2017. Both tracks, Burn Bridges and I Hate My Friends More Than I Hate My Enemies, mark the first new music for The Streets since 2010. 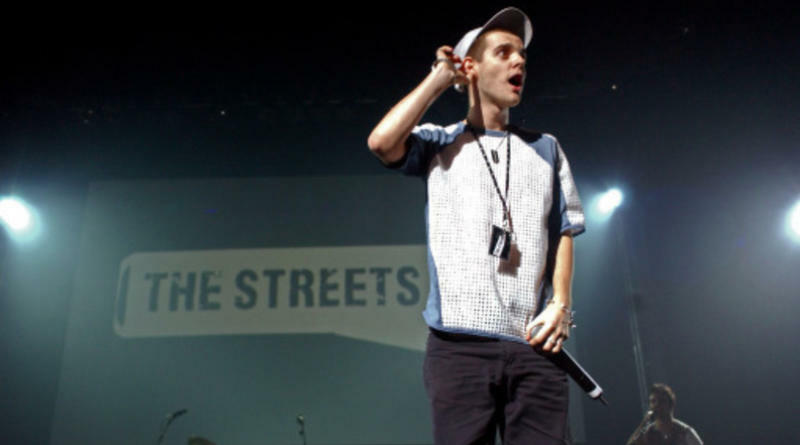 The Streets’ first adventure worldwide was to Japan as a support act to The Libertines. Pete Doherty has since featured on The Streets’ track Prangin’ Out. Perhaps the most stripped-back version of Skinner we hear on all of the albums, the solemn and brutally honest monologue sits as The Streets’ most successful single after reaching the top of the charts in 2004 just six days after its release. Dry Your Eyes became the soundtrack of most fans’ youth with the unbelievably relatable lyrics. Skinner takes us through the breakdown of his current relationship with lines like ‘I know it’s hard to take but her mind has been made up’ depicting the moments he tries to pick himself back up again. Perhaps one of the most distinct tracks for displaying Mike Skinner’s geezer charm and talent for turning an everyday occurence into a piece of lyrical genius, this song takes us through the moment he takes advice about women from a mate over a full English breakfast in the ‘greasy spoon cafeteria’. Even in a lad-like scenario, lines like ‘by all means you can vibe with this girl, but just don’t mug yourself’ highlight the relatable characteristics of Skinner’s friendship group and life events. Don’t Mug Yourself was released in 2002 as the fourth single from The Streets’ debut album, Original Pirate Material, and was even played on an episode of Doctor Who (a TV show Skinner would guest star on eight years later). In between Skinner’s hip-hop and garage creations, his collection of choir-like classics analysing life’s greatest moments act as a breath of fresh air. A track that simply points out the beauty that ‘for billions of years since the outset of time, every single one of your ancestors has survived, every single person on your Mom and Dad’s side successfully looked after and passed onto you life’- a piece of advice he was given at the same time as his own contemplation of suicide. On the Edge of a Cliff features on The Streets’ penultimate album, Everything is Borrowed, alongside Heaven for the Weather and The Escapist. The Streets took to the dance stage to bring the festival to a close, under the same lineup as Radiohead, Manic Street Preachers and The Darkness. The festival was only run by the BBC for five years, between 2005 and 2010, and The Streets’ set included favourites like Blinded by the Lights, Dry Your Eyes, and Heaven for the Weather. This triumphant homecoming at the now derelict Carling Academy in October 2009 was one of Mike Skinner’s most buoyant – can his return beat it?